IS A LASER VEIN TREATMENT RIGHT FOR ME? 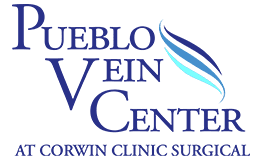 Pueblo Vein Center Blog IS A LASER VEIN TREATMENT RIGHT FOR ME? There are two kinds of laser vein treatments , also known as vascular laser treatments. One is cosmetic laser treatment (not covered by insurance) the other is what this blog will focus on; medical (which is usually covered by insurance and performed by a vein specialist) laser vein treatment for varicose veins. Improvements in ultrasound technology have made it possible to image the veins in your legs showing where the venous dysfunction is and guide the vein specialist physician to make personalized treatment recommendations. These recommendations often include a variety of treatment types. For medical treatment the first vein treatments are using laser technology. EVLT (Endovenous Laser Treatment) is an effective treatment for varicose veins. EVLT vein treatment shuts down veins from the inside by use of laser and ultrasound technology – all with minimal discomfort or side effects. This effectively treats the underlying veins that are not functioning, which caused the varicose veins to appear. Stopping the source of the varicosities is key! This can only be done under ultrasound guidance. Ultrasound is used to identify your dysfunctional vein to be treated. Local anesthetic is applied; therefore, you can drive after the procedure. A thin laser fiber is inserted through a tiny entry point and the laser light is emitted through the fiber, delivering just the right amount of energy. The targeted tissue reacts with the light energy, causing the vein to close and seal shut. The blood is naturally and automatically routed to other veins. Walking immediately after the vascular procedure is encouraged. Normal daily activity can be resumed after laser vein treatments; just avoid rigorous activities such as gym workouts for one week. We are excited about the advantages that our technology brings. The two biggest advantages are the correct tissue targeting of the 1470 nm wavelength laser and the gold tip on the laser fiber that improves precision to the delivery of the laser energy. After scheduling your appointment, there are a few things you can do to prepare for your vein treatment consultation and ensure optimal self-care. Write down your symptoms.Not only will this help to identify the issues at hand but will also assist in understanding the healing process. By understanding what symptoms you had prior to the procedure, you will be able to better notice when these symptoms fade away. Write down what you have tried to improve your symptoms and what works and what does not work. This will include family history of varicose veins or spider veins to keep your doctor informed so that your treatment is tailored to your needs. Bring a list of Medications, Vitamins, Supplements, Etc. This will better help your doctor tailor the procedure to your needs. How can I best manage varicose veins before or after the treatment? Do you have any printed materials I can take home with me on the procedure? What will recovery look like? If you are interested in finding out more about laser vein treatments and which one is right for you, contact us today. 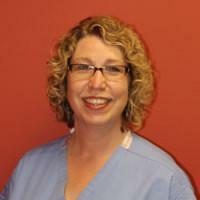 Ruth Drury Ruth Drury (RVT) has been practicing Vascular Ultrasound since 1996. In 2012 Ruth moved from a large Vascular Surgery practice in her home state of Michigan to Australia where she practiced Vascular Ultrasound. In 2016 Ruth found herself stateside again, and happily treating clients at the Pueblo Vein Center. How Do I Choose a Vein Doctor? Choosing a vein doctor that will help you handle your venous issues with the utmost care and expertise is an important decision. The first step to ensuring proper vein health is to seek the advice of a qualified and experienced professional. WHAT TYPES OF COSMETIC LASER TREATMENTS ARE OFFERED? We have recently acquired the latest in cosmetic laser platform. This technology, not just limited to cosmetic vein treatment, but can also treat multiple types of skin problems, including hair removal. This is the time of year we take our cool weather clothing out of the closet, which also a makes it a good time to keep vein treatments under wraps.